KATHY STANLEY BOLTON has a birthday today. New comment added. 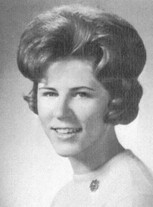 KATHY STANLEY BOLTON has a birthday today. KATHY STANLEY BOLTON added a comment on Profile. New comment added. KATHY STANLEY BOLTON posted a message. You're still as handsome as ever! ....and so accomplished. I still remember my crush on you.....I guess I should have acted differently on that....? Enjoy every minute of the reunion in Sept. if you go.